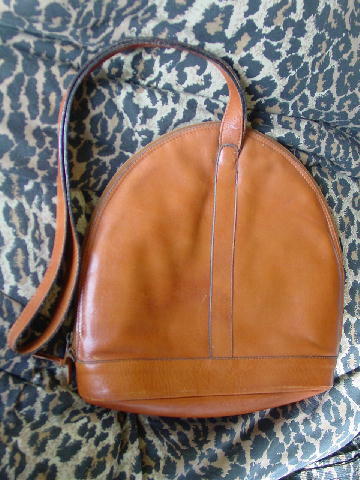 This vintage dark caramel color leather purse is a genuine leather Genesis by Sabina Handbags. It has a side to side zipper closure with 2 zipper pulls. 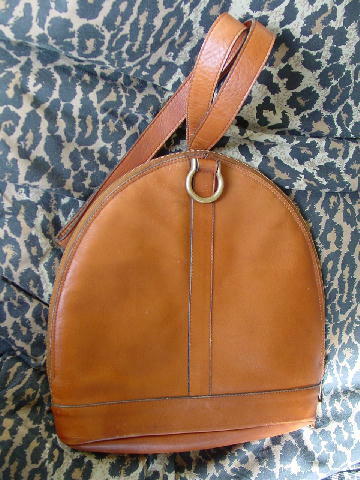 There is a dark caramel color lining with a large zippered pocket, and the other interior side has a divider, giving it a large open half compartment. The front has a large metal loop which you can leave down or push upward and pull the double 22" by 1" shoulder strap through. 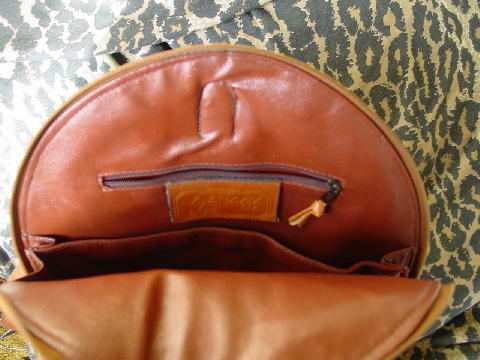 The purse has some scuff marks and some tiny areas where the color is missing.